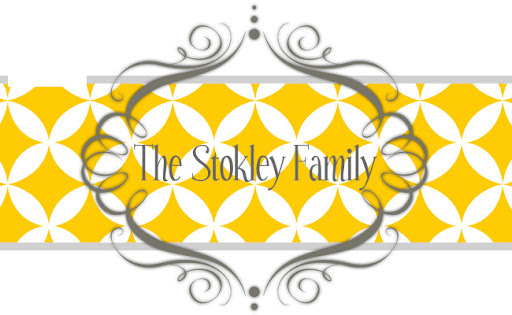 The Stokley Family: Summer Fun! One thing about staying home for the Summer is I take less and less pictures. Most everything we do everyday includes water and everyone one knows, water and phones don't mix. Today we were suppose to go to a waterpark about a hour away with friends but we got rained out. I cannot stay home with Ry and Tan all day, they'll drive me crazy! So we have to have plans everyday, nothing major, just something to do. Since it was raining we decided to go bowling. The kids had a lot of fun bowling! Tanner bowled 2 spares in one game and won! I was so proud of him. Ryleigh does not like to lose. She asked who won and I said Tanner. Then she said who won next and I said Karlee and then she said who won next and I said Ryleigh and she was so excited. She knew she lost but when she words it that way it makes her think she won. She is a TERRIBLE sport! TERRIBLE!! After that we ran some errands and went to lunch at Chick Fil A. We need this rain to go away because of course we have plans to go swimming tomorrow! We also have Lindsey's baby shower on Saturday and we are very very excited!!!! !